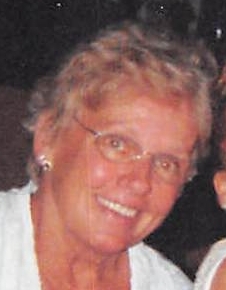 Christine Anne Kerrissey, age 70, of Abington passed away peacefully at home in the early morning hours of December 1 surrounded by her loving family after courageously battling a long illness. Survived by Tim Kerrissey and their loving children Therese Anne Kerrissey of Abington and Robert Kerrissey of Rockland and her adoring grandchildren Alyssa Young and Calleigh Rae Kerrissey. She is also survived by several brothers and sisters and many nieces and nephews. She was an amazing mother and nana aka “nanny”, she lived to make her children and grandchildren happy. She was everything to her family. She was loved by all whom knew her not just for her caring genuine personality as well as her generosity, but more for the beautiful person she was inside and out. She will be lovingly remembered and dearly missed. There will be a visiting hour on Wednesday December 5 from 9:30am to 10:30am at Quealy & Son Funeral Home at 116 Adams Street, Abington followed by a Funeral Mass at St. Bridget Church, Abington at 11am. Interment will be private. In lieu of flowers donations may be made in her name to the Ovarian Cancer Research Fund Alliance.